Well I’m one more step towards getting the truck mobile again. 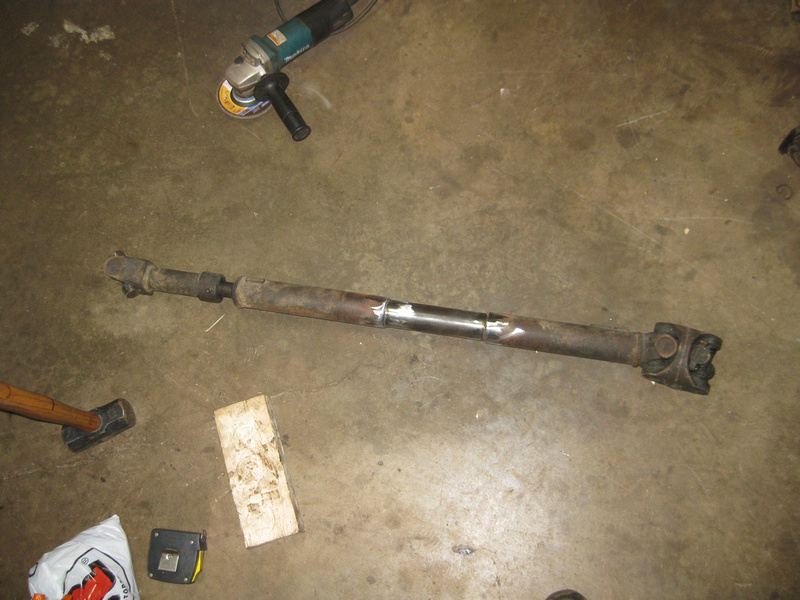 I extended one of the Cherokee driveshaft’s I have laying around. There’s really not much to this, and I’m hoping I can get the thing to balance out later. If it won’t balance, well, I made a nice spare shaft. 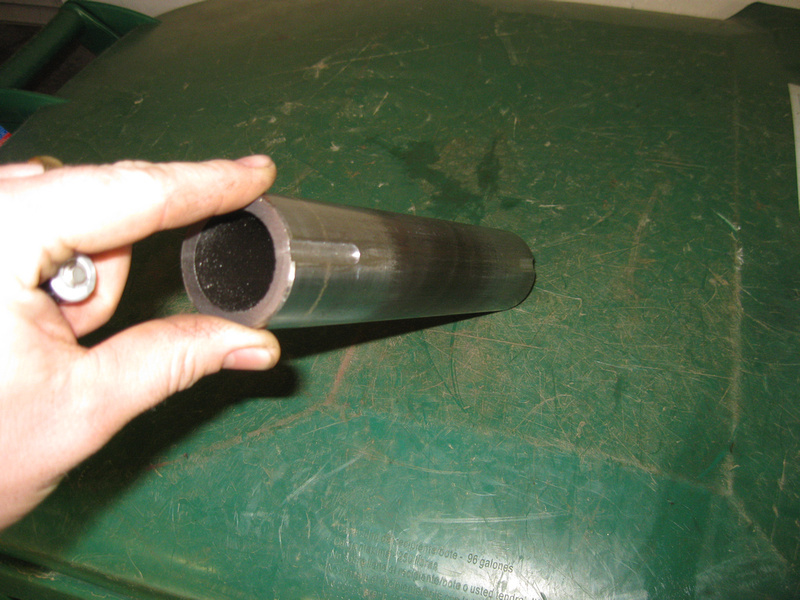 Going by Dana’s information, total allowable run out for the drive shaft is 0.020” which is about what I measured this shaft at when I was done. That’s said a little tongue in cheek though as I really don’t have a good way to measure this at home or at work. 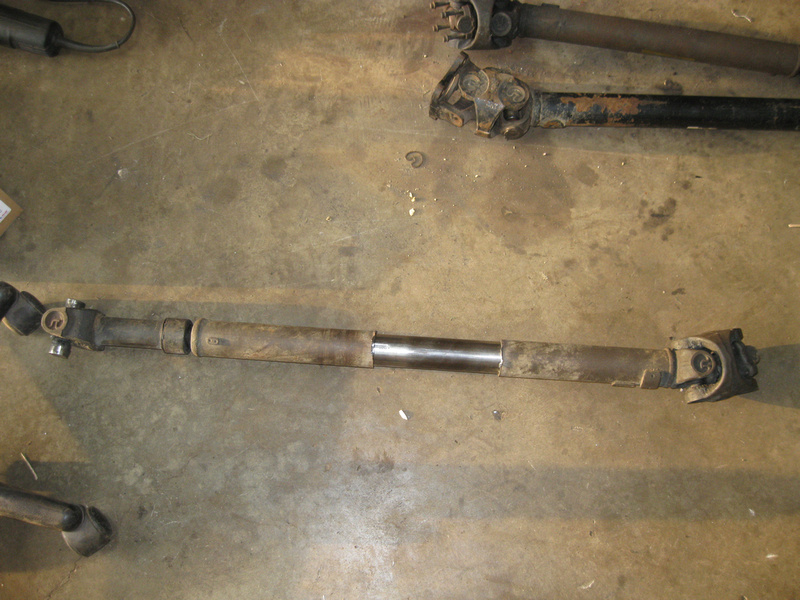 The Cherokee (XJ) drive shafts are 1.75” on the ID and they are made with 0.120” wall HREW tube. Since its HREW, you can’t just slap a slug in there and call it done. Step 4 is a little tricky. I don’t have a good way to hold everything in line, so I bolted the DS back in its home to check for the correct length. While it was there, I slapped a dial indicator on it to rotate and tap in line. This is far from ideal so I’m not so sure on how accurate my 0.020” run out reading really was. 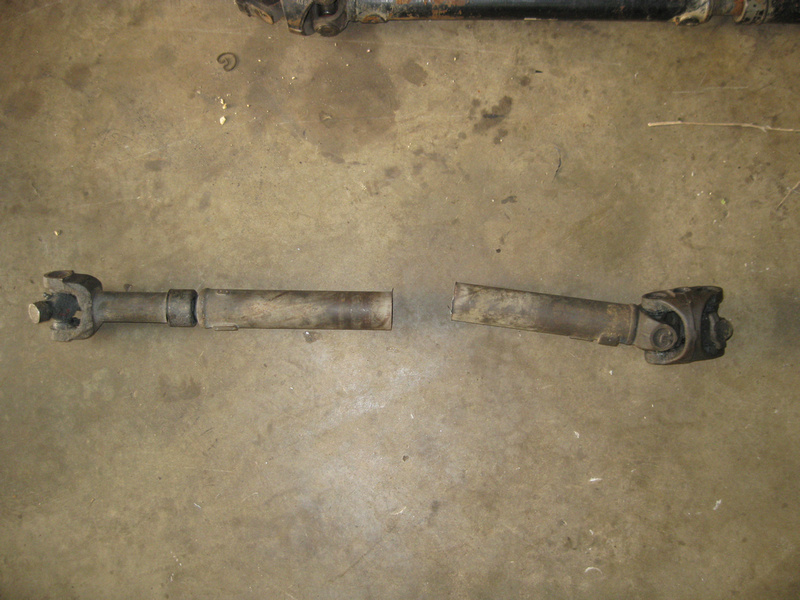 But as I said, worse case is I just have a spare shaft now. Add to it, I can’t really remember if this was a good shaft to start with so who knows how good it is at this point! Step 5, remove the now tacked together DS from the truck and burn everything home, clean off your slag and you’re done! As a side note, for my plug, I’ve got an extra 1” that was driven into either side of the DS (I needed to extend the shaft 6.75” and my plug was 8.75” long, dig?). I’m sure this thing will work just fine for a spare, we’ll see how well it does at speed. Once I find my U bolt’s for the front yoke, I’ll be able to move this thing again (Though, without brakes currently). I’ve bought three of these dang U joint U bolt sets, and I can’t find a single one of the dang things. Go figure right?